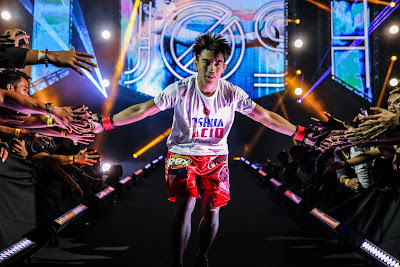 Joshua “The Passion” Pacio may be one of the youngest strawweights in ONE Championship, but he has accomplished what few men have at just 22 years old. Yet behind his boyish smile and beaming youth lies the composure of a grizzled cage veteran, capable of spectacular performances in front of mesmerizing crowds. A talent of the highest order, Pacio has emerged as one of the Philippines’ most talented mixed martial artists in ONE Championship. Since losing to Yoshitaka Naito for the ONE Strawweight World Championship in October 2016, Pacio was a man on a mission as turning down a bout has never crossed his mind even if it means gambling with a guaranteed shot at the gold-plated strap. 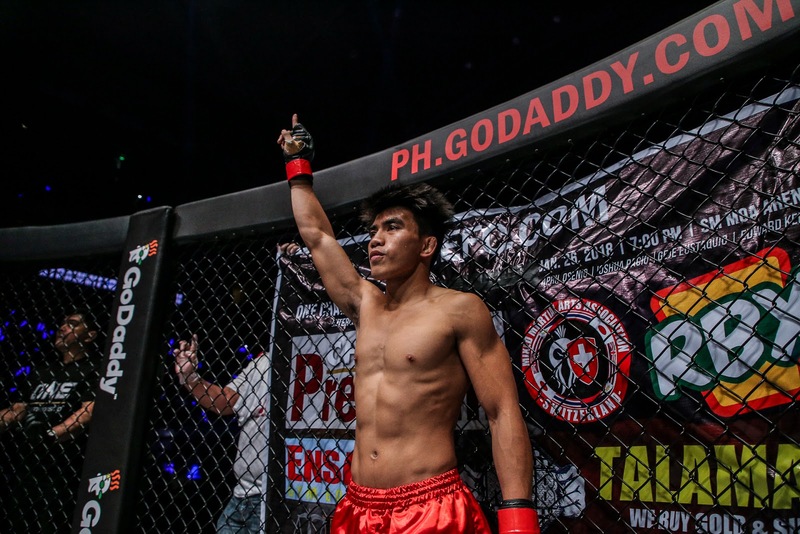 Pacio was staring down a potential title eliminator earlier this year, but when an injury forced Pongsiri Mitsatit to withdraw from the match at ONE: GLOBAL SUPERHEROES last January, he was given a choice by the top brass of the promotion. “ONE Championship basically asked if I wanted to wait or take another bout. I am not really keen on waiting around for anything, so I just took one. If an opponent changes, then an opponent changes,” he shared. “I just want to keep testing myself. I am so competitive. It is like, do you want to compete or not? Of course, I want to compete. Let’s do this, whenever,” Pacio added. 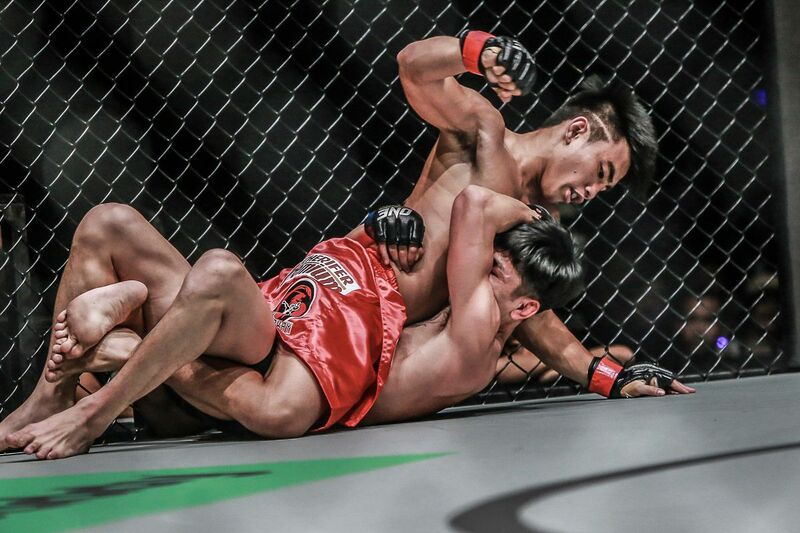 Pacio was instead booked against Chinese newcomer Lan Min Qiang at the aforementioned event, which marked ONE Championship’s 12th venture on Philippine soil. 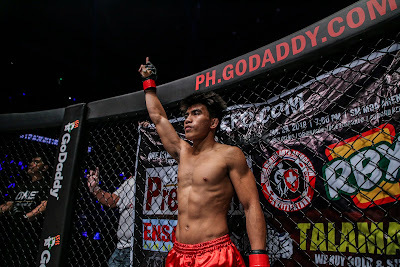 Recalling the two losses he suffered via rear-naked choke that made him want to focus specifically on enhancing this area of his game, Pacio unveiled his newly-improved grappling prowess, making quick work of his Chinese foe to win by the same submission hold. “It made me realize just how much more I had to improve so that I can become a better martial artist. I realized that there are a lot of holes in my game, and that the only way to get better is to recognize my weaknesses,” Pacio explained. Now riding high on a two-bout winning streak, Pacio is looking to build upon his momentum and return to world title contention. Pacio will have his chance to get his hands on Mitsatit as both men are slated to face other on the undercard of ONE: REIGN OF KINGS, which takes place at the 20,000-capacity SM Mall of Asia Arena in Manila, Philippines on July 27. The Team Lakay young gun plans to use his upcoming cage encounter with Mitsatit as a stepping stone to an eventual championship opportunity. Mitsatit, who trains out of Tiger Muay Thai in Phuket, Thailand, is a highly-decorated kickboxer who owns a perfect 9-0 mixed martial arts record. The 22-year-old native of Nakhon Si Thammarat, Thailand has won his last three outings in ONE Championship, including scintillating victories over Filipino stalwarts Rabin Catalan and Jeremy Miado. Pacio is fully aware of his opponent’s impressive background, which encourages him to bring his career to the next level with another awe-inspiring performance. “This match means a lot to me. I want to prove that I deserve to be competing on this international stage. I won’t go down easily in this bout. I will keep up with him, and I will try to top his toughness and quickness to make this my moment,” he ended.